By Leslie Hynes, South Snohomish County Fire and Rescue Public Information Officer. The deadline to apply to become a Fire Support Volunteer with South County Fire has been extended to June 29th. Fire Support Volunteers serve in a nonemergency role, assisting with safety education, community events and support services, such as refilling air bottle and providing fire scene lighting with South County Fire’s AIR10 support vehicle. Volunteers receive a $100-$250 monthly stipend. Applications will be accepted through 4:00 pm on June 29, 2018. Applicants must be at least 18 years old and meet other requirements, including providing a candidate physical abilities test certification. A complete list of application requirements is available online at www.southsnofire.org/employment. Military veterans are encouraged to apply. Preference points will be awarded to eligible military veterans who submit a completed Veterans Preference Eligibility Form. Original May 10, 2018, article. South County Fire is seeking Fire Support Volunteers to provide public education and fire support services to communities of south Snohomish County. Applications are being accepted through June 1, 2018, at 4:00 pm. Applicants must be at least 18 years old and meet other requirements, including providing a candidate physical abilities test certification. A complete list of application requirements is available online at www.southsnofire.org/employment. 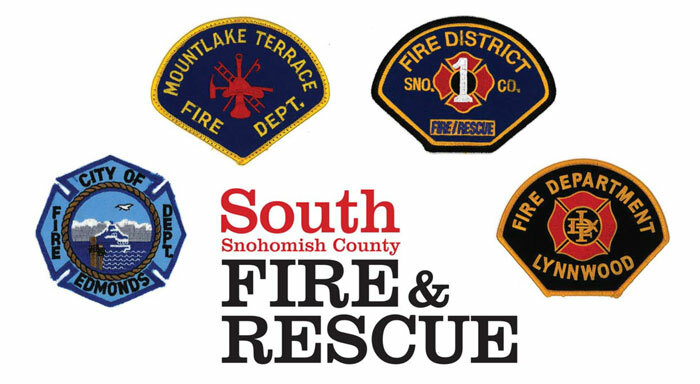 South County Fire is the largest provider of fire and emergency medical services in Snohomish County, serving more than 250,000 residents in unincorporated communities and the cities of Brier, Edmonds, Lynnwood, and Mountlake Terrace.